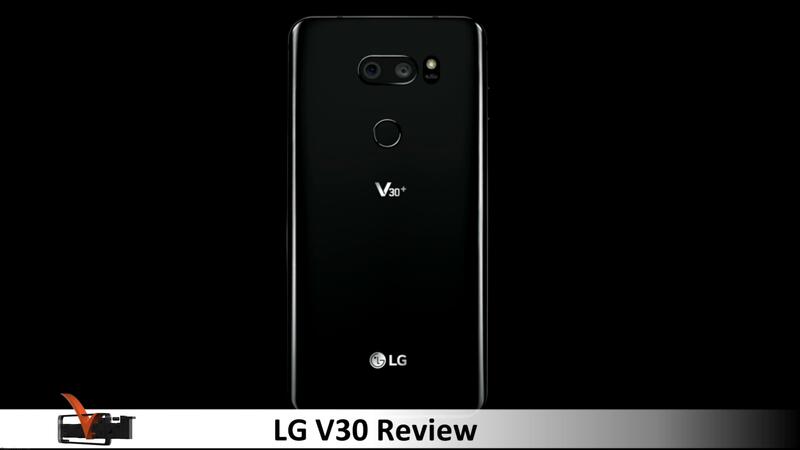 The LG V30 is an immediate successor to last year's V20. 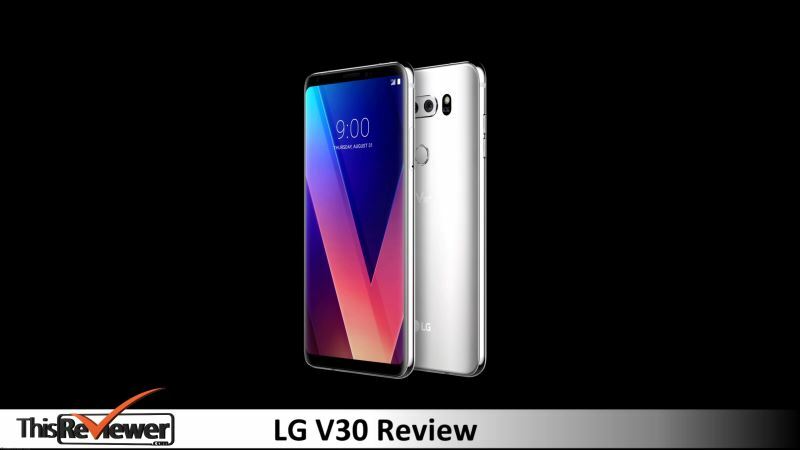 It is a device that offers the overhauls that users are looking forward to from LG V-series smartphones, such as great cameras, fantastic audio quality, and unique video highlights. 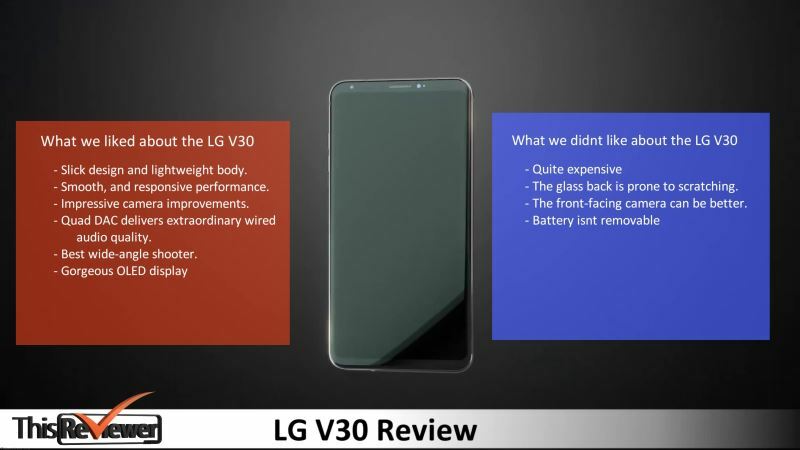 This upgrade has made the V30 emerge from the competition and will be viewed as LG’s true flagship phone for 2017. The smartphone fundamentals feature contributed to the speedy performance it delivers. Once again, LG's innovative dual-camera setup provides brilliant low-light performance, and the headphone jack is also alive, and with a Quad DAC, it is better than ever. The fingerprint scanner is available, and always easy to reach. In spite of some low-light weirdness, the LG's OLED board is truly impressive. Slick design and lightweight body. Quad DAC delivers extraordinary wired audio quality. The glass back is prone to scratching. The front-facing camera can be better. 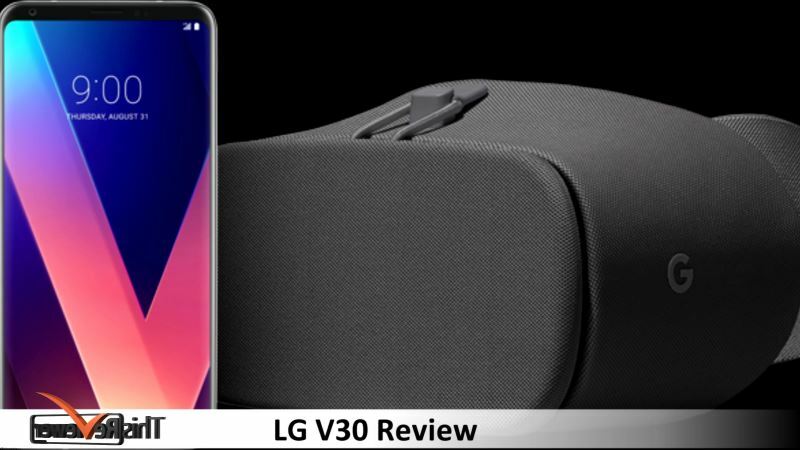 LG’s V-series will be more available across the globe for the first time with V30. Having been previously restricted to only the US, Australia and part of Asia. LG has taken full advantage of its opportunity to make right on the learnings from the LG G6 and LG V20. 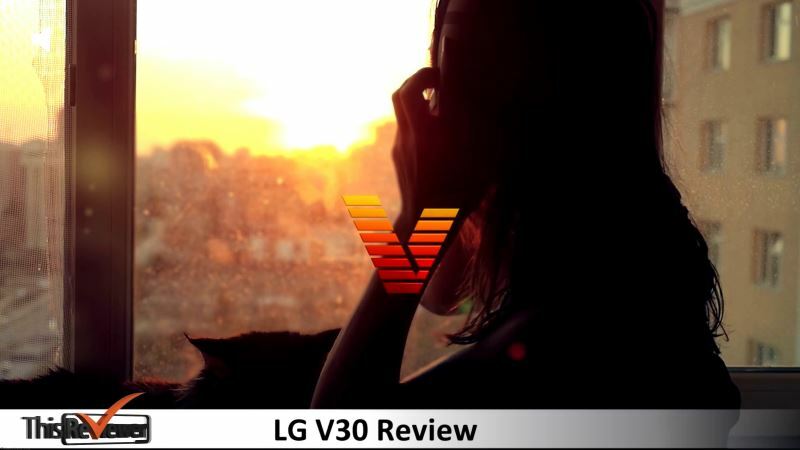 Apart from the low-light issues, V30 smartphone is a step ahead of any previous LG smartphone in terms of daylight legibility and quality. 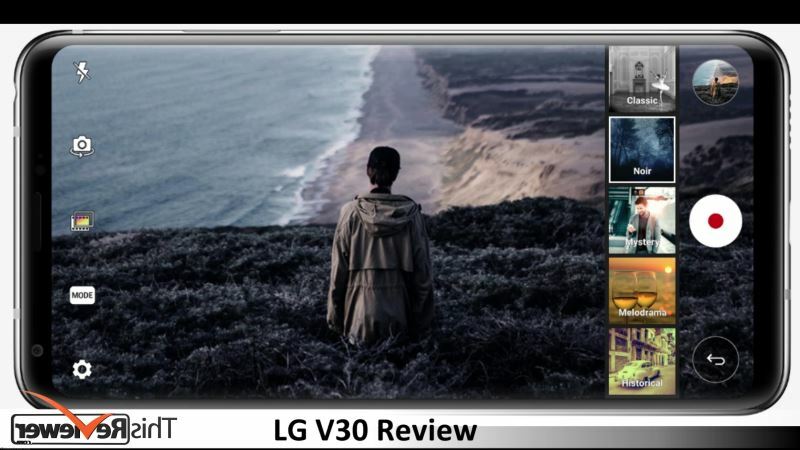 Features like high-end video, the Quad DAC, and the wide-angle camera contributed to making The LG V30 seem like a conservative flagship. From the curved edges, Gorilla Glass 5 covering both the front and back, minimal bezel and refined metal trim to the extra-tall aspect ratio, users might mistake The V30 from a distance for a Samsung phone. The LG V30 blends in with the latest fleet of flagships. Under the hood, you will find the Snapdragon 835, which is making its LG debut with V30, and it is paired with 4GB of RAM. LG V30 measures in at 151.7 x 75.4 x 7.3mm in dimension and it weighs 158 grams, all of which puts it on par with the Google Pixel XL when it comes to size. The glossy steel siding of the device accommodates a volume rocker to the left, and a microSD and SIM tray on the right. Below, there is a bottom-firing speaker located next to the USB-C charging port of V30. At the top of the device, there is a 3.5mm headphone jack. On its marginally curved glass back, you will find the phone’s fingerprint sensor right in the middle, which also works as lock and power button. Looking at the back curved glass upward, above the sensor, you will find the V30’s center aligned double camera framework. 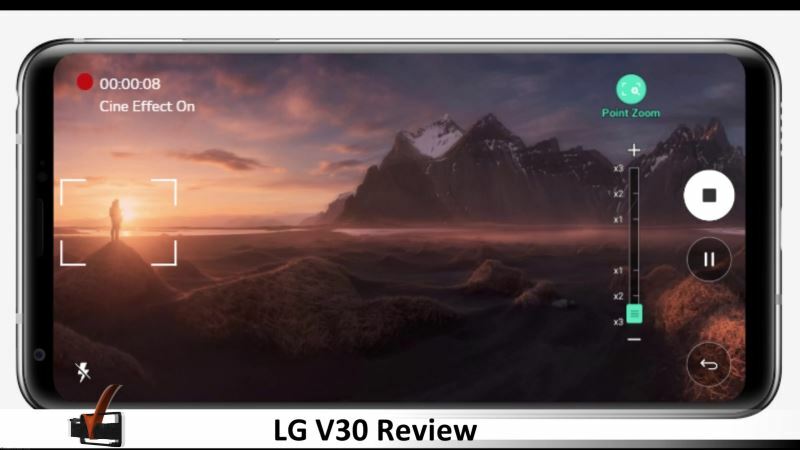 Finally, LG has given the V30 a substantial advantage by effecting a remote charging as well as equipping it with both water and dustproof resistance with IP68 protection. We can affirm that the smartphone is durable because it meets all the military spec standards. Though, the spec standard does not guarantee that its glass won’t break depending on how the user handles it. 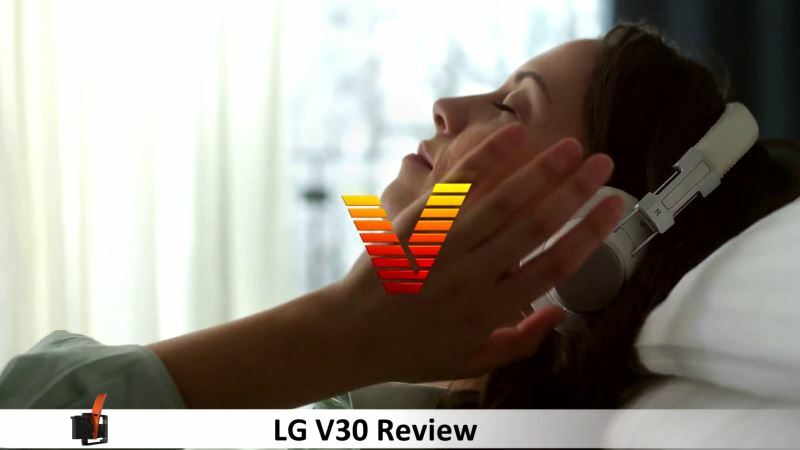 All V30s comes with the LG's famed Quad DAC for better wired audio performance. 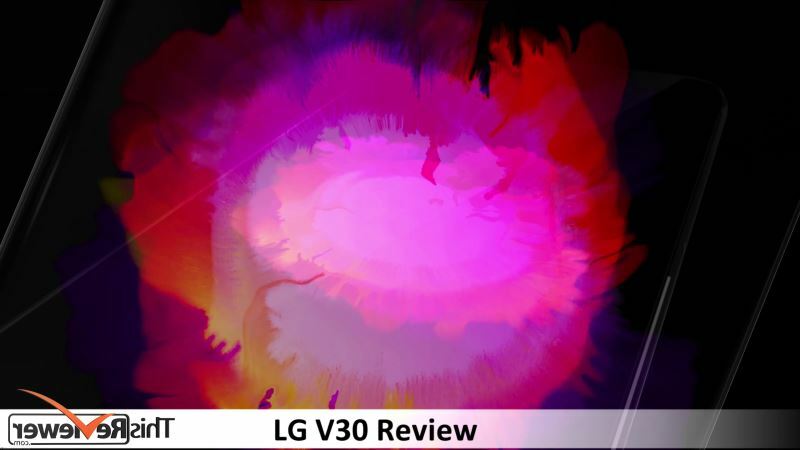 Apart from extra storage offer we see in many phones, LG remains the only phone maker that can boast of the Quad DAC feature, and this could be a real deal for the V30. Other manufacturers always come up with many reasons to get rid of the 3.5mm headphone jack, but LG is embracing wired audio, and the results are outstanding with a nice pair of studio headphones. LG also partnered with B&O Play, but on-device audio is nothing special, and the single firing speaker at the bottom is at normal execution. The output is loud, but the lack of strong bass is frustrating. 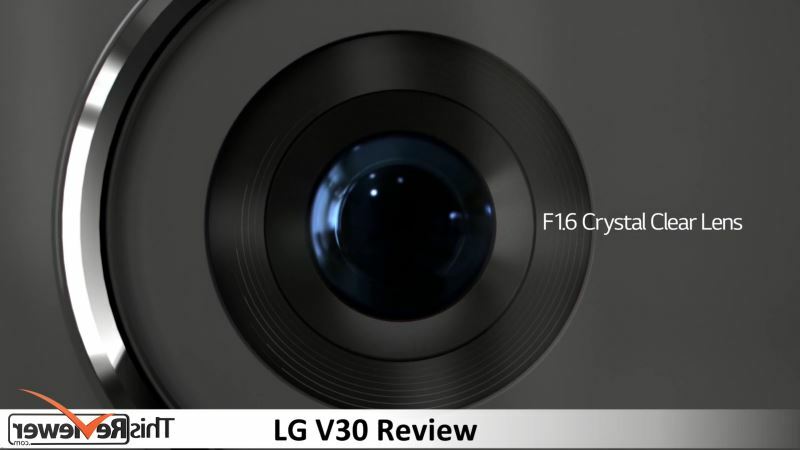 LG has a strong pedigree when it comes to smartphone camera performance. 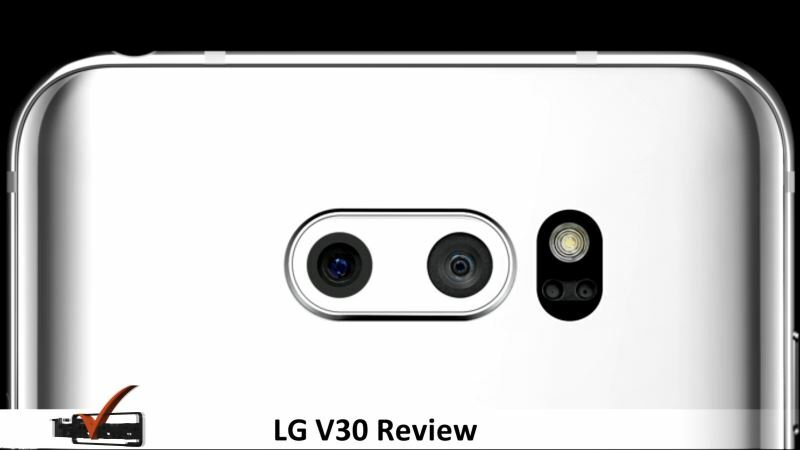 LG seems to be putting all hands-on deck in bringing new, remarkable hardware and software features in a bid to ensure that its dual-lens cameras are outstanding from the rest, and V30 is yet another LG smartphone that can be defined by its photographic competency. The headline specification is the main 16-megapixel shooter with the optical image stabilization (OIS), with a f/1.6 lens. The auxiliary wide-angle camera has a 13-megapixel sensor. 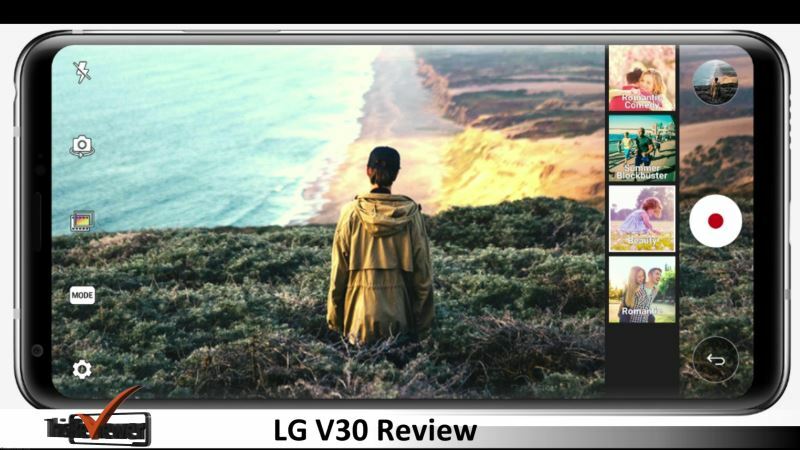 With the V30 cameras, LG builds on the strengths and success of the G6 and V20 camera performance. Regardless of having little, 1-micron pixels, the V30's primary camera takes amazing photographs. The high-resolution, bright lens, and the addition of OIS can deliver a sharp, clear pictures even in low light. The device also comes with a 5-megapixel front camera, but the pictures aren't anything special. 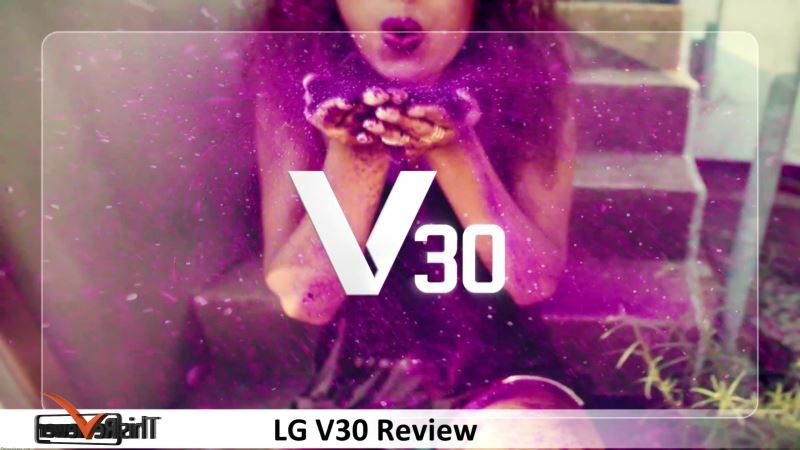 The V30 also comes with professional colour grading features that users can use to give every picture and video the right contrast, lighting, and saturation that fit every scene. With V30, LG switched from LCD panels to an OLED display as a replacement. From the front design, the LG’s FullVision 18:9 aspect ratio tech is in plain view, complete with an impressive 6-inch OLED display (2,880 x 1,440). Visually the 6-inch OLED display appears much more colorful than the previous LCD panels. 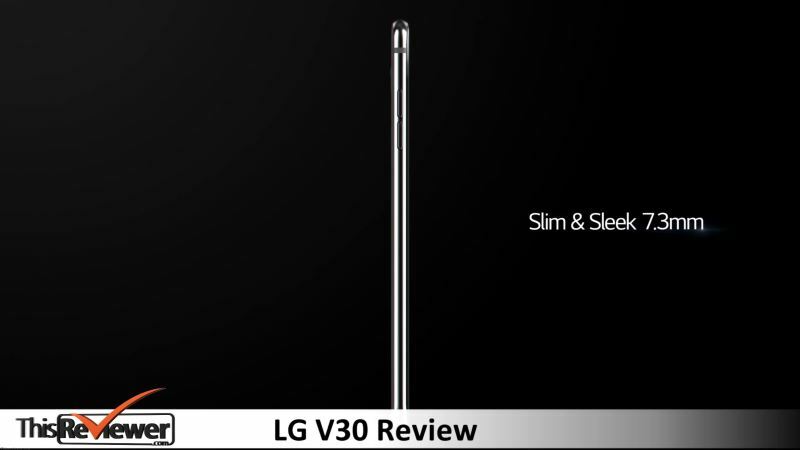 The LG V30 comes with non-removable 3,300mAh battery capacity. You can absolutely get a full day out of the battery, thanks to the efficient CPUs and displays of the device. It's not a surprise to see the LG V30 comfortably handling a full day of fairly intensive usage on a single charge. Though the camera is unsurprisingly the main battery sink here. The LG's Cine Log features and 4K video recording will always take a heavy toll on the battery. When it's time to charge the battery, the V30 supported both the Qualcomm Quick Charge 3 and USB Power Delivery, giving you many options for a quick recharge.